We spent four weeks Glenade Ireland relaxing and recharging among the green hills and the mist. We woke up every morning to see sheep outside our window eating the fresh grass on the lawn. For our family, that month was good for our soul. At the end of July, I drove over to Dublin to pick up someone very special to my family – my Mom, aka “Grandma Green”. There aren’t words to describe how wonderful it was to see my Mom again. And, I have to say a huge thank you to my Mom too for all that she has been taking care of for my family back in Canada while we’ve been travelling. We are so very grateful. She has done so much for us, and we are honoured that she decided to join us for her 70th Birthday – and for our last 4 weeks of travel this year. 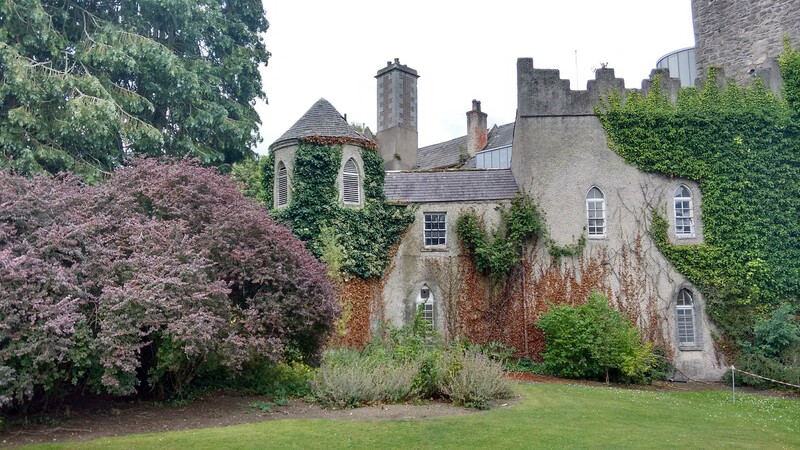 After a morning nap at the hotel in Malahide, we made our way down to the village for some lunch and a tour of the gardens at Malahide Castle. The gardens at Malahide Castle were beautiful. I’m not sure that I have ever seen so many hydrangea in one place before. We made a trip a few days later to another castle. This time, we visited Glenveagh Castle, in County Donegal which is within a large national park. Glenveagh Castel is truthfully more of a mansion built to look like a castle, rather than a castle built in a traditional sense. It was used as a private residence up until the late 1900’s, and then converted into a tourist site. The gardens again at this castle were stunning. We spent a few hours at the castle and gardens, but we could have easily spent much more time there. It was a beautiful space. A few miles away from our cottage, was the site of one of the largest court tombs in Ireland, Creevykeel. There are a lot of different theories around what these sites were used for (meeting places, ceremonial sites, graves etc.). Whatever the purpose, the site has a lot of stones… and it is humbling to think of how many hundred (if not thousands) of years they have been there. You may have noticed by now, that I try whenever possible to include a “boat tour” into our itinerary. 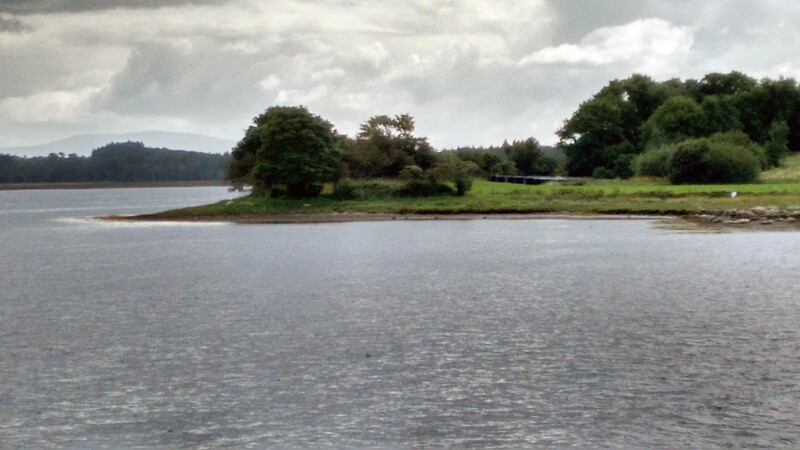 We took a boat tour of the bay by Donegal Town as well, on the “Waterbus”. We toured through the “Green Islands” in the bay. Many of them are used as pastureland for sheep and cattle. As an individual with some Irish blood in me, from migrants who came to Canada during the famine it is hard not to feel on a cellular level fear and hunger when listening to stories of the coffin ships that transported people to North America. Many of these coffin ships left from here. Many of the people who left on those ships did not make it. How much we enjoyed Ireland was a surprise to us. We loved the scenery. Absolutely everyone that we encountered was warm, kind and generous. The weather is a bit frantic at times, but overall we loved our time there. Ireland has won a big place in our hearts.